Premium Quality 113R00628 Black Toner Cartridge compatible with the Xerox Phaser 4400. The use of compatible supplies does not void your printer warranty. Premium Quality 20K0500 Cyan Toner Cartridge compatible with the Okidata C510, C510dn, C530, C530dn. The use of compatible supplies does not void your printer warranty. 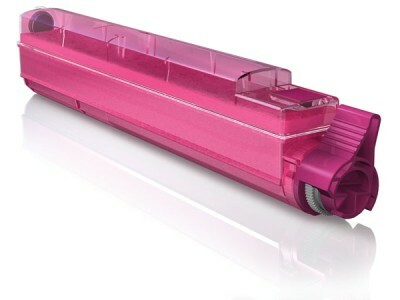 Premium Quality 20K0501 Magenta Toner Cartridge compatible with the Okidata C510, C510dn, C530, C530dn. The use of compatible supplies does not void your printer warranty. Premium Quality 20K0502 Yellow Toner Cartridge compatible with the Okidata C510, C510dn, C530, C530dn. The use of compatible supplies does not void your printer warranty. Premium Quality 20K0503 Black Toner Cartridge compatible with the Okidata C510, C510dn, C530, C530dn. The use of compatible supplies does not void your printer warranty. Media Sciences 42918901 High Yield Yellow Toner Cartridge compatible with the Okidata C9600/ C9650/ C9800. The use of compatible supplies does not void your printer warranty.